Gov. 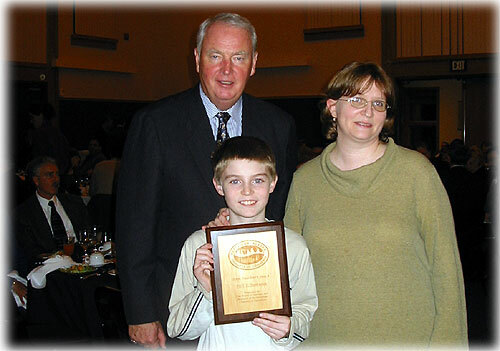 Frank Murkowski, Little Brother Nick of BBBS and his mother. Nick accepted the President's Award for Bill Elberson who was unable to attend the Ketchikan Greater Chamber of Commerce's awards event at the Ted Ferry Civic Center Saturday. Elberson was recognized for his work in the Big Brothers Big Sisters Program.